In a few short days, Bianca Ackhurst went from the bubbly and energetic personality her family and friends know and love, to being completely paralyzed, relying on a ventilator to breathe. 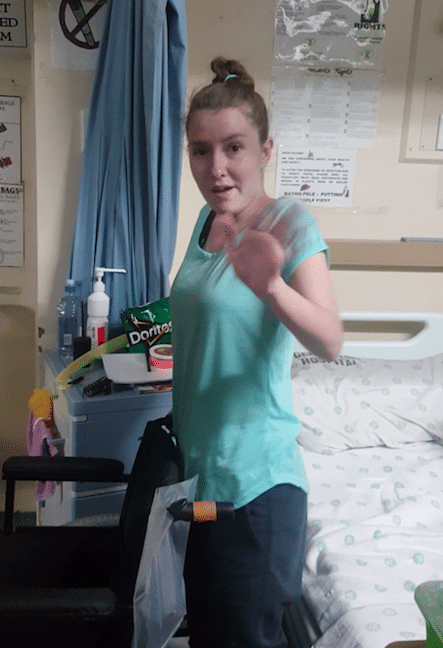 After close examination by Dr Adri Kock, Bianca Ackhurst was diagnosed with Guillain-Barré syndrome, an extremely rare and serious autoimmune disorder which attacks healthy nerve cells in the peripheral nervous system. The incurable syndrome affects 1 in 100,000 individuals, while there is no known cure, doctors say the severity of the symptoms can be reduced through extensive physiotherapy and special treatment called Polygam and plasma. The CDC suggests that the disorder may be triggered by an improper immune response to previous illnesses such as diarrhea or a respiratory infection. Without medical aid, Bianca’s hospitalisation has already amounted close to R300,000. She has since been transferred to the Chris Hani Baragwanath hospital, a government institution, where she remains in ICU on a ventilator. Once released from ICU she will be transferred to their neurological department and then begin extensive physical rehabilitation. “We as a family are absolutely shocked and devastated at the speed at which and the way this illness has affected our daughter, it breaks our hearts to see her laying unable to move or talk when just 2 weeks ago she was perfectly healthy” says Bianca’s father, Jeff Ackhurst. To help cover outstanding medical costs and ongoing treatment (costs of which are unknown at this point), the family has created a campaign on donations based crowdfunding platform, BackaBuddy to appeal to the public to support Bianca’s recovery. Bianca’s family remains positive as Bianca shows signs of progress. Bianca currently does about 3 hours of physical, speech and occupational therapy a day. While she is making progress, doctors suggest her recovery could take up to 6 months. Bianca’s treatment has been made possible through generous contributions to her campaign on donations based crowdfunding platform, BackaBuddy. The campaign went live on the 6th of July, shortly after Bianca’s diagnosis and has thus far raised over R108,065.41 with contributions from 165 donors. “We would like to take this opportunity to thank everyone who has contributed to Bianca’s BackaBuddy fund and for the kindness and compassion we received as a family. Your thoughts and prayers have been a pillar of strength for us during a very difficult time” says Jeffrey. Bianca’s ongoing medical treatment is estimated to cost a further R200,000. Want to help Bianca Ackhurst? Donate to her campaign on Backabuddy HERE. Watch this space for regular updates in the General News category on RWR.